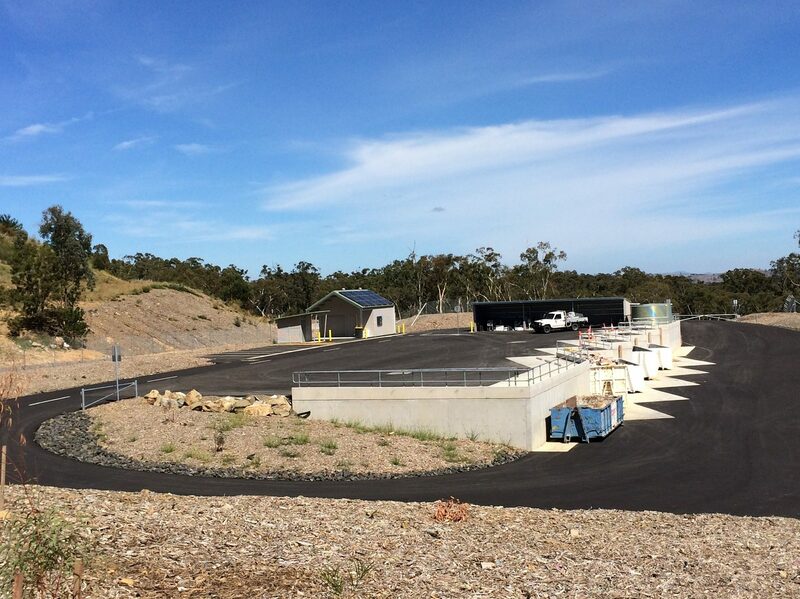 The project involved the construction of bin and storage bays to the new waste transfer station, including construction of concrete bin pads, retaining walls, handrails, tipping slabs, e-waste and oil storage bays incorporating structural steel frames, grated floor systems, roof and wall cladding. Project Coordination achieved a reduction in the construction ‘layover’ period between Stage 1 works to the start of Stage 2 works. The period to allow Council civil works to be undertaken was reduced to 2 weeks (down from 4 weeks) by utilising a different approach to the waterproofing of the main ‘saw-tooth’ retaining wall that permitted Council civil backfilling and compaction earlier than previously programmed. The Palerang Council undertook the construction of the bitumen roads and hardstands after the completion of the project.